Essential for recording inspection dates to help comply with working at height regulations. Each kit consist of one pen and either 1 holder and 2 inserts, or 10 holders and 10 inserts. Easily secured with cable ties or screwed permanently to the ladder. Insert refill packs available separately. Monitoring the condition of any equipment in a workplace is important; maintaining a ladder is especially important as working at height comes with risk anyway, so ensuring your equipment is safe is vital. 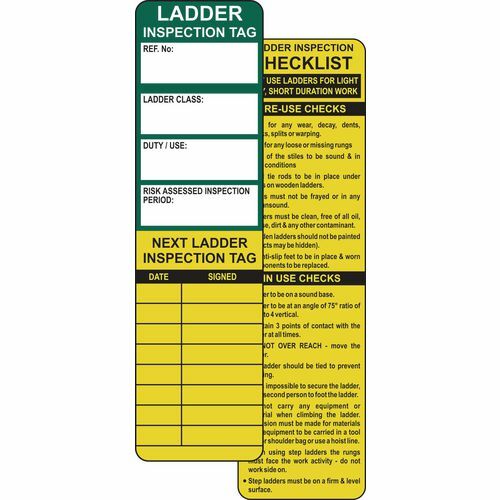 Our ladder safety management tag kits provide an easy way to keep track of inspections on equipment. They are essential for recording inspection dates to help comply with working at height regulations. There are two kits available and each kit contains one pen and either 1 holder and 2 inserts or 10 holders and 10 inserts. 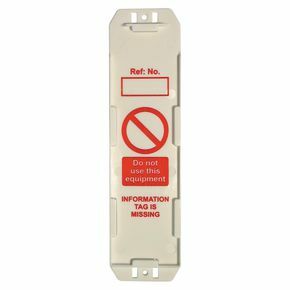 There are insert refill packs available separately; you can find them by entering the product code '116618' into the search bar at the top of the page. The holders are easily secured with cables ties or for permanent security they can be screwed to the ladder. 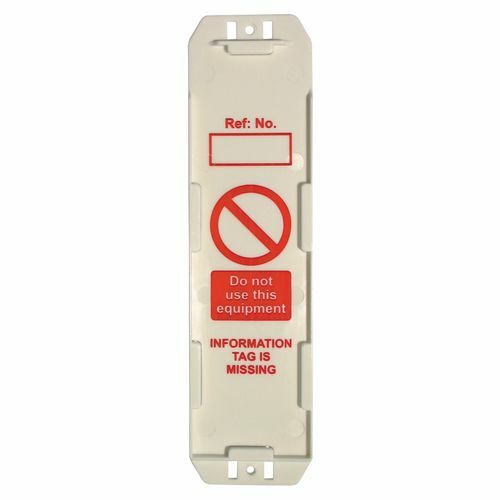 Our ladder safety management tag kits are an important addition to a workplace to easily keep an essential record of inspection dates for ladders.